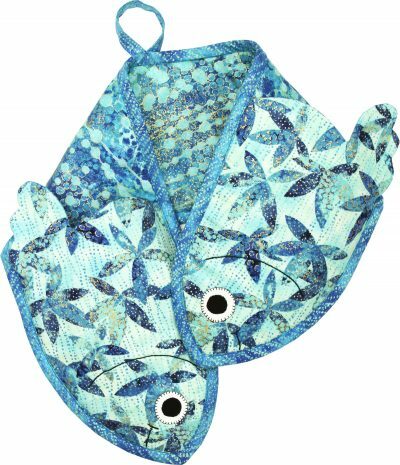 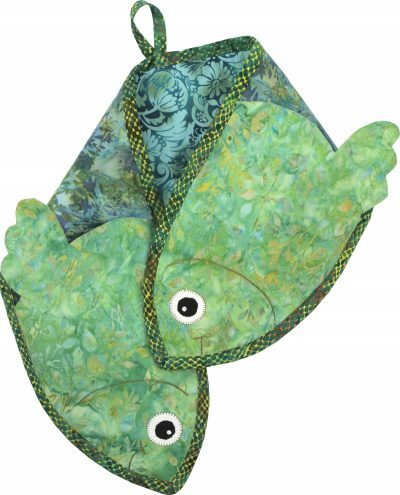 “Fish Fry” oven mitt is a fish-themed mitt perfect for retrieving hot casserole dishes from the oven. 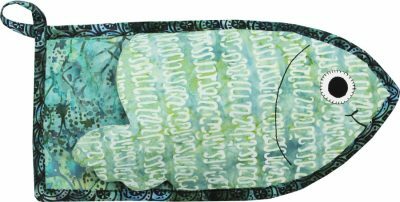 Thermal fleece is used for the side touching the heart source and heavy-weight interfacing for the ‘back-of-hand’ side. 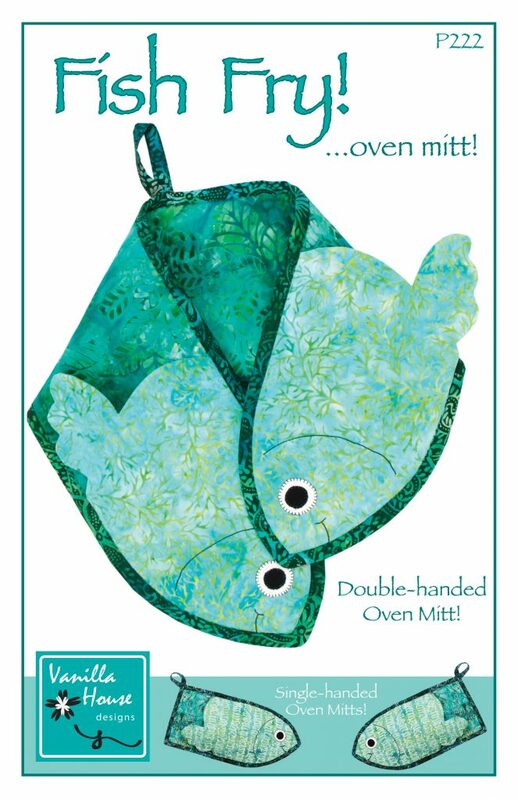 Versions include a double-hand and a single-hand mitt! 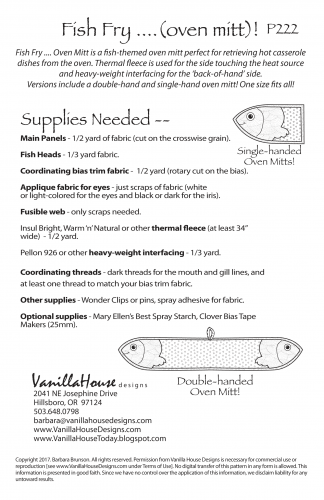 Very thorough step by step instructions. One size fits all!